The Ouya killed it on Kickstarter, but the reviews of the final product (including ours) were not overwhelmingly positive. Here we are six months along and it can no longer be said that the device is still too new to judge. There have been OS updates, new games, and feature tweaks. 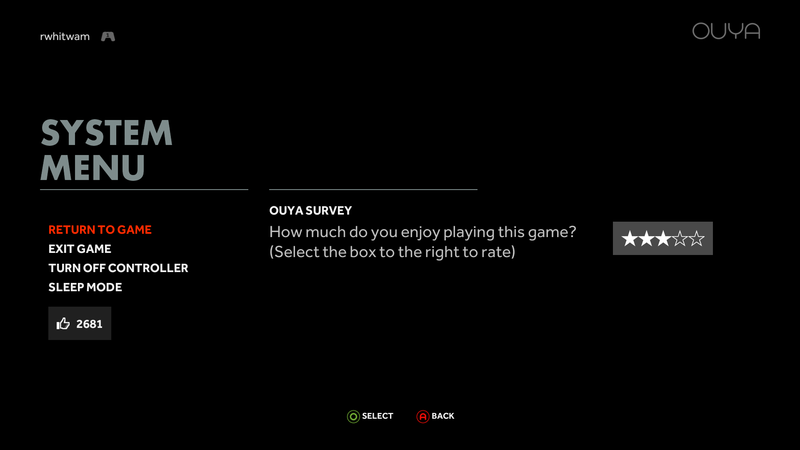 So is the Ouya a better gaming experience now? 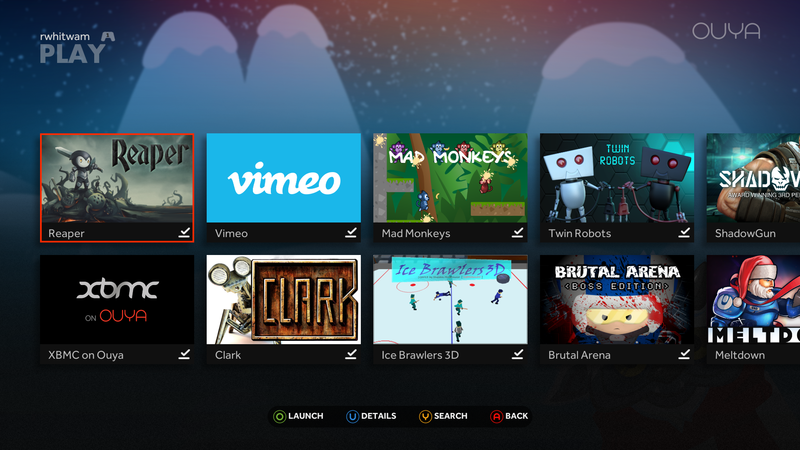 The Ouya software at launch felt minimalist and very "beta." It was arduous to get around and manage your games, especially when you were trying to clear space for a big download. As of now, the software still has the same basic vibe, but it's more polished than it once was. There are backgrounds that are downloaded automatically and navigation has been tweaked in a few ways. 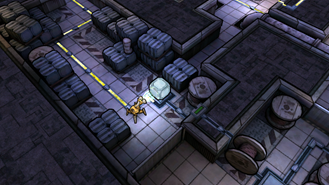 One of the changes that makes the most difference is the double tap functionality of the Ouya button while in a game. This now pulls up a system menu overlay (instead of just exiting) that allows you to close the game, buy a full version, put the console to sleep or dive back into the game after a brief respite. 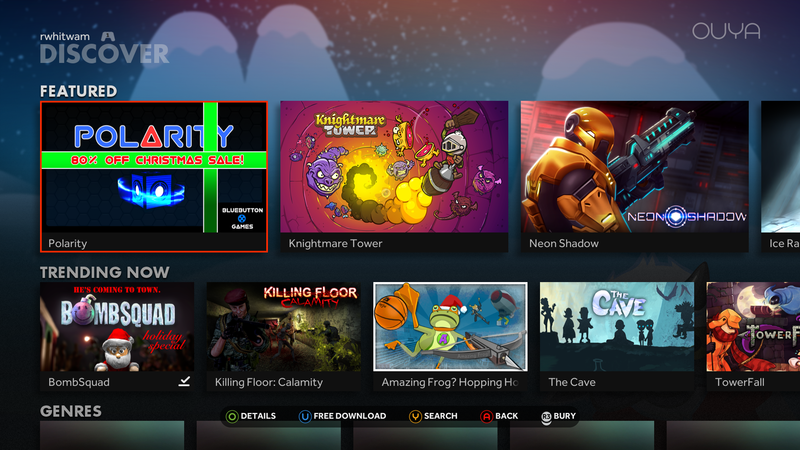 There is also a way to easily view the info page for your games right from the installed list. That list, however, is still only organized by most recently played – it's a little awkward if you have a lot of games. There is a search function, but typing with the on-screen keyboard is super-tedious. The recent updates also added a much-requested feature – USB storage. You can attach a USB drive to the console and access files on it, or even move games over. This is still a work-in-progress, but it somewhat alleviates the pain of living with 8GB of storage (about 5.7GB usable). This feature is still rough around the edges, but it's a big step in the right direction. 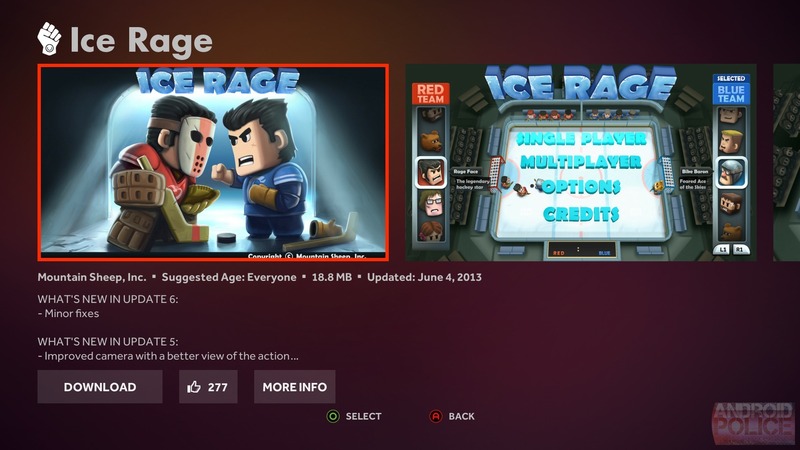 While the features are all great steps to see Ouya taking, there are still some gaps in the experience. For example, it's difficult to keep track of how much storage space you have free. It still requires that you dive into the settings and pull up the deeply buried Android storage menu. The only other way you know you're running low is when you try to download a game and it fails. I would really like to see storage space more prominently displayed. I have also been seeing odd bugs that prevent me from installing large games even though I have more than enough storage. 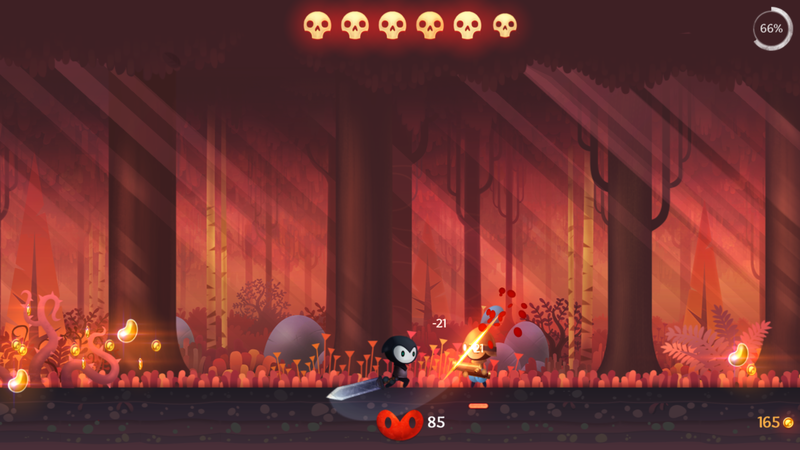 The Ouya's software is better, but there's still more work to do. The current state of the OS is how things should have been at launch. By far the biggest issue with the Ouya at launch was the lack of compelling games to play. 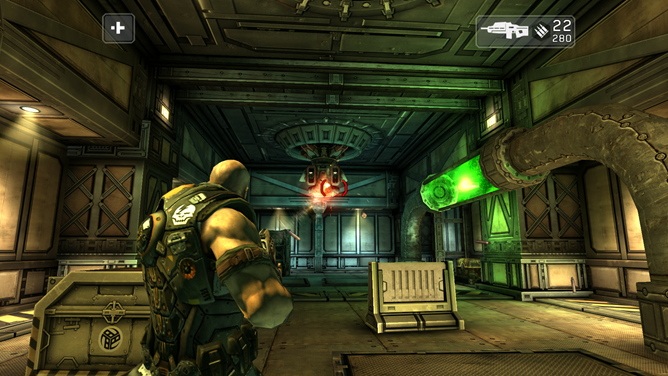 You can only play Shadowgun for so long before you just want to do something else. There were so few quality titles that the mediocre slapdash content was rising to the top of the store page simply due to lack of selection. This made the Ouya feel cheaper, and made a bad first impression. There is still some of that lame content in the store, but most of it has been pushed down the charts by much more professional games. 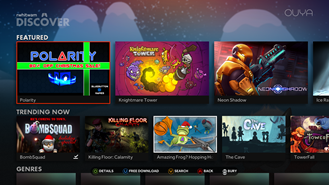 You can tell the Ouya folks have been working hard to encourage developers to bring more games to this device – there are actually some cool things going on in the store now. 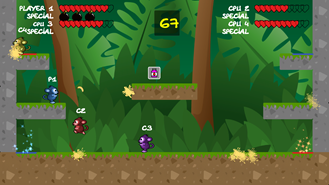 There are Google Play ports like The Cave, Another World, Sonic the Hedgehog 4, and Ravensword. 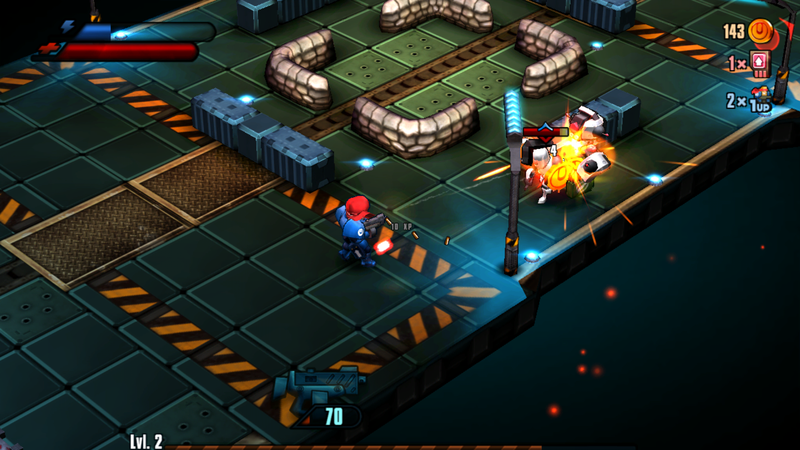 I'm also pretty taken with Meltdown and Reaper, which play every bit as well on the Ouya as they do on my regular Android devices. It's nice to see some solid Android games moving over to the Ouya. Although, I'm still not seeing much in the way of good racing titles – I'd kill to get a Need for Speed game on the Ouya. Yes, there are also emulators, but there are emulators for everything. It doesn't really set the Ouya apart, in my opinion. 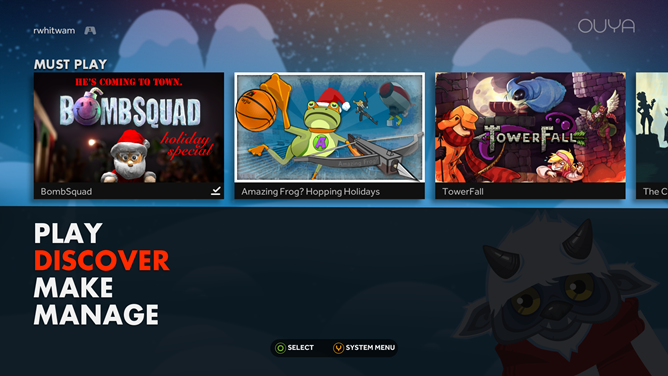 Perhaps the troubling aspect of this trend is that I don't see many games hitting Ouya first that are compelling –Towerfall and Clark are examples of the few Ouya-first games that I've enjoyed playing. 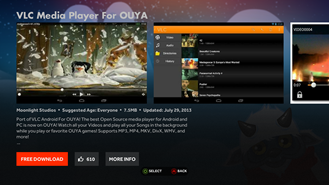 Whatever happens with the software going forward, Ouya is still going to be missing Google Play. 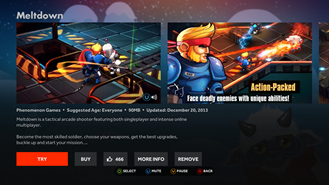 The fact that users can't get purchased content from other Android devices onto the Ouya is going to hold it back and give developers pause. I feel like the Ouya ecosystem is still far too small to support itself and drive the creation of first-class games – it's going to continue relying on ports. If gaming isn't your thing, Ouya is actually growing into a fine little media hub. 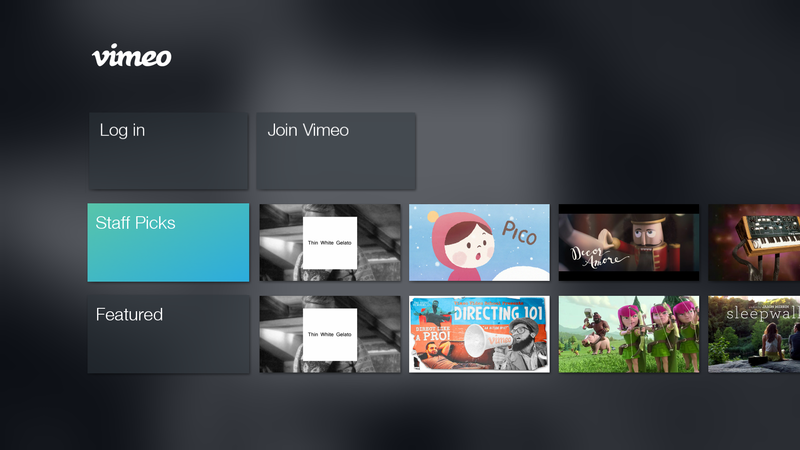 There are a number of cool video apps like Vimeo, Plex, TwitchTV, and XBMC. Yes, you can finally use XBMC on the Ouya. It's a bit of a pain to configure, but it works. 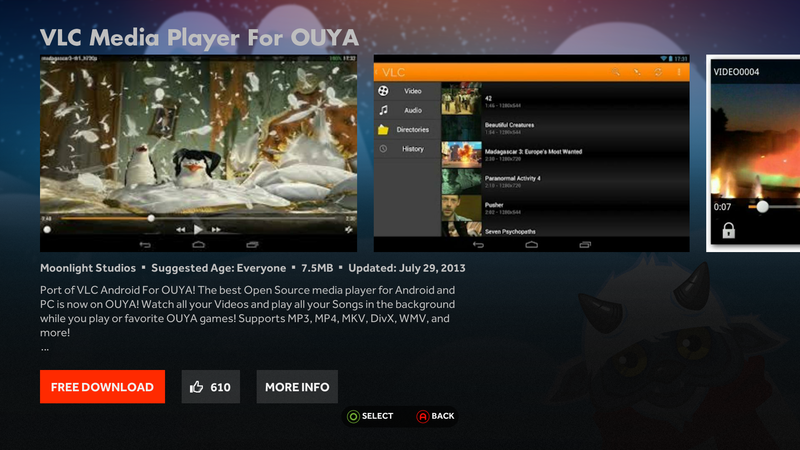 There's even an unofficial port of VLC in the Ouya store. As great as it is that Ouya is courting game devs, I think this angle could be what saves or sinks the console. I said in the original review of the Ouya that it was going to have a hard time moving forward with a Tegra 3 on-board. 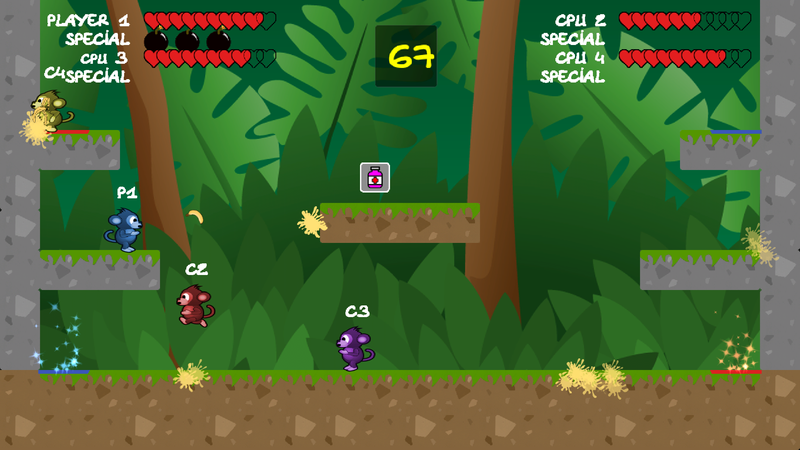 It made perfect sense when the Ouya was being developed to go with that chip – it had solid gaming credentials. However, T3 ended up being a real dog compared to other chips of its generation, and it's only looking worse as time goes on. So how does this affect the Ouya? Well, it depends on the game. Some titles seem to play well in spite of the middling hardware. For example, the aforementioned Meltdown is great on Ouya, as is Shadowgun. At the same time, some graphics intensive games like ChronoBlade and Wraithborne suffer from wonky performance and off graphical bugs. I suspect it takes some extra development work to make sure games perform as they should on the Ouya with its rapidly aging hardware. The Ouya still sells for $99, which I find a little surprising. Yes, that's cheap for a game console, but it's no secret developers haven't been raking in cash from such a small install base. I would have expected the company to start discounting the device more heavily to get game sales up. Although, perhaps that's not a financially feasible approach right now. Even with more quality games, I have trouble finding a place for the Ouya in my life. It's wrong to compare it to a tablet/phone, but it's also inappropriate to compare it to a true console – the Ouya is something in between the two. The games (even good ones) are still phone games blown up to a big screen. They might be fun, but they play like giant phone games with all the sacrifices you make to play a game on a mobile touchscreen... only you're using a TV and a controller. 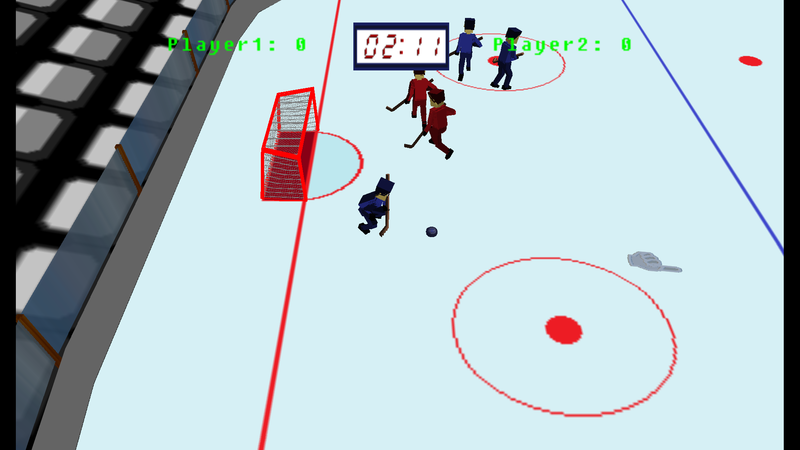 Then there are still some games that just look awful when you put them on a larger screen. I worry that there will never be a large enough group of gamers that want a device like the Ouya to keep developers interested. 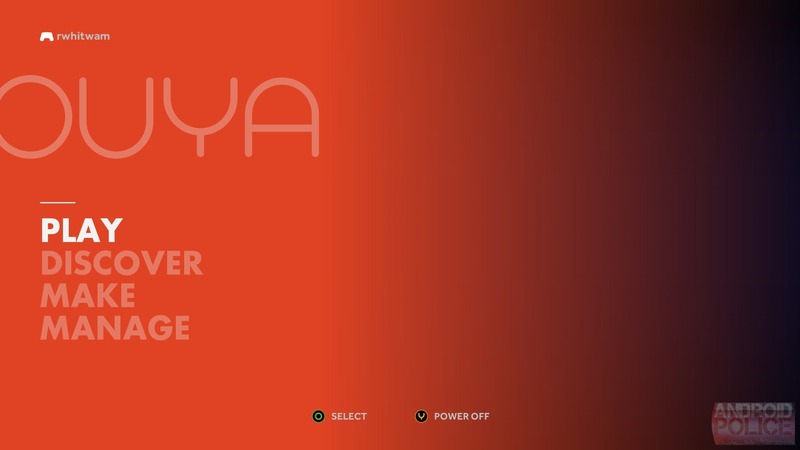 The company is planning a hardware revision of the Ouya in 2014, but we haven't heard anything firm yet. Maybe Ouya 2.0 will move on to Tegra 4 and 2GB of RAM, or perhaps a chip switch is in the works. Whatever happens, the next version of the device will decide the fate of Ouya. The game catalog is getting there, and maybe with enough power, the device will be able to offer a big screen gaming experience that interests more people. Ouya needs numbers, and the first generation device hasn't gotten them. As to the question of whether you should buy one, I still have to say 'no' for most use cases. 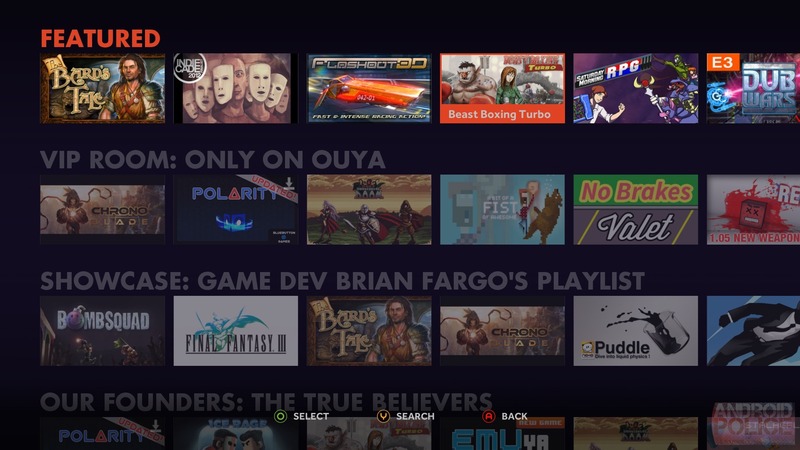 If you want a device to tinker with, or hope to set up a media streamer of some sort, the Ouya might be a good buy. For anyone who is in search of a fun gaming machine, you should probably wait until the next hardware revision and see how it all works out.